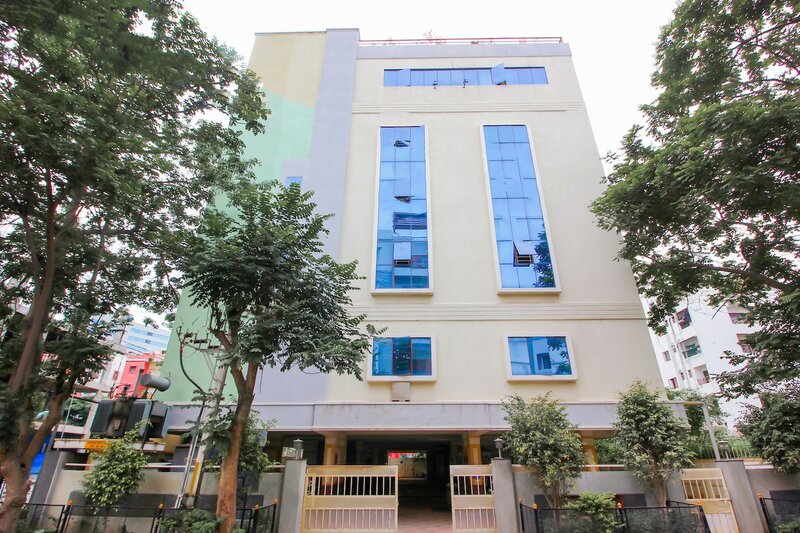 SilverKey 20008 Executive stays Madhapur offers a pristine stay at a pocket-friendly price. Rooms are well-lit and come with soothing decors. The rooms are also decorated with wooden furniture and artistic paintings on the walls for a pleasant and relaxing stay. Guests can enjoy their meals at the well-furnished dining area. CCTV cameras are present on the premises of the hotel offering safety and security during your stay. A well-equipped gym is also there in the hotel for fitness lovers. Various other facilities offered by the hotel include free Wi-Fi service, elevator, laundry service and parking facility for a convenient stay.